Essential intuitive and reliable: these are the greatest strengths of the Rekord range.Ideal for small farms but also a great addition to work alongside high power machines in a medium to large-scale farm. 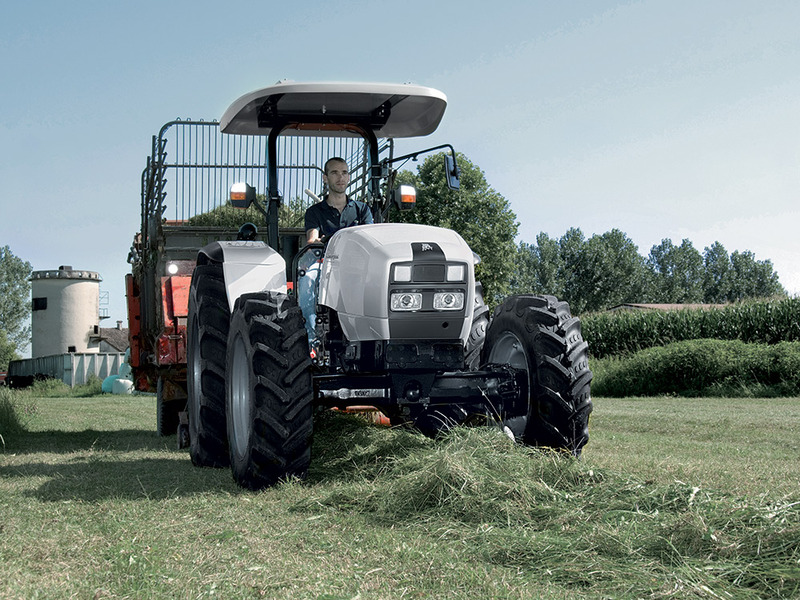 Outstanding versatility agility and manoeuvrability make these ideal multi-purpose tractors. The range consists of four models available as either two or four wheel drive variants: Rekord 50 Rekord 60 Rekord 70 and Rekord 4.80. SDF 1,000 Series Euro I engines, designed to work tirelessly for hours with low running costs and limited maintenance times.These liquid-cooled, three and four cylinder Turbo Intercooler units are engineered and built to deliver superlative performance in all conditions in return for low specific fuel consumption figures. High pressure injection system (1,400 bar) with very short injection times, and HRT hydraulic tappets for injection timing adjustability.The unique configuration of the engine produces a high degree of swirl, mixing the incoming air perfectly with the fuel and optimising combustion.70 litre fuel tank for extended autonomy. Rekord is equipped with a synchromesh gearbox with twelve forward speeds and three reverse speeds, for a top speed of 30 Km/h. The two speed PTO (540 /540ECO) makes full use of the power available efficiently and reliably. Front and rear differential locks for superior traction. Heavy duty planetary reduction gear units for working with rear implements in complete safety. The hydraulic system in Rekord 50-60-70 models features a 33 l/min pump and two/four way auxiliary distributors, while the system equipping the Rekord 4.80 has a 45 l/min pump and four/six way distributors.The hydrostatic steering system is fed by an independent pump, for impeccably smooth steering action.The hydraulic lift features position, draft, floating and mixed control modes, while the sturdy construction of the three point linkage gives it an impressive capacity of 3,000 Kg, making it possible to use a wide variety of implements. Safety is ensured by the integral four-wheel braking system with six wet brake discs and a folding two pillar ROPS.